Tag Archives: take the square! This text was originally written for the Re-Public on-line journal, which focuses on innovative developments in contemporary political theory and practice, and is published from Greece. As the journal has ground to a (hopefully just temporary) halt under severe austerity pressures we decided to post the current first draft of the text on the Tactical Media Files blog. This posting is one of two, the second of which will follow shortly. Both texts build on my recent Network Notebook on the ‘Legacies of Tactical Media‘. The second text is a collection of preliminary notes that expand on recent discussions following Marco Deseriis and Jodi Dean’s essay “A Movement Without Demands”. It is conceivable that both texts will merge into a more substantive essay in the future, but I haven’t made up my mind about that as yet. In the midst of an enquiry into the legacies of Tactical Media – the fusion of art, politics, and media which had been recognised in the middle 1990s as a particularly productive mix for cultural, social and political activism , the year 2011 unfolded. The enquiry had started as an extension of the work on the Tactical Media Files, an on-line documentation resource for tactical media practices worldwide , which grew out of the physical archives of the infamous Next 5 Minutes festival series on tactical media (1993 – 2003) housed at the International Institute of Social History in Amsterdam. After making much of tactical media’s history accessible again on-line, our question, as editors of the resource, had been what the current significance of the term and the thinking and practices around it might be? Prior to 2011 this was something emphatically under question. The Next 5 Minutes festival series had been ended with the 2003 edition, following a year that had started on September 11, 2002, convening local activists gatherings named as Tactical Media Labs across six continents. Two questions were at the heart of the fourth and last edition of the Next 5 Minutes: How has the field of media activism diversified since it was first named ‘tactical media’ in the middle 1990s? 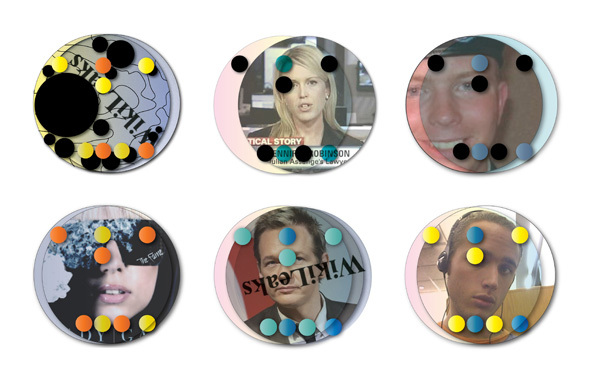 And what could be significance and efficacy of tactical media’s symbolic interventions in the midst of the semiotic corruption of the media landscape after the 9/11 terrorist attacks? This ‘crash of symbols’ for obvious reasons took centre stage during this fourth and last edition of the festival. Naomi Klein had famously claimed in her speedy response to the horrific events of 9/11 that the activist lever of symbolic intervention had been contaminated and rendered useless in the face of the overpowering symbolic power of the terrorist attacks and their real-time mediation on a global scale. The attacks left behind an “utterly transformed semiotic landscape” (Klein) in which the accustomed tactics of culture jammers had been ‘blown away’ by the symbolic power of the terrorist atrocities. Instead ‘we’ (Klein appealing to an imaginary community of social activists) should move from symbols to substance. 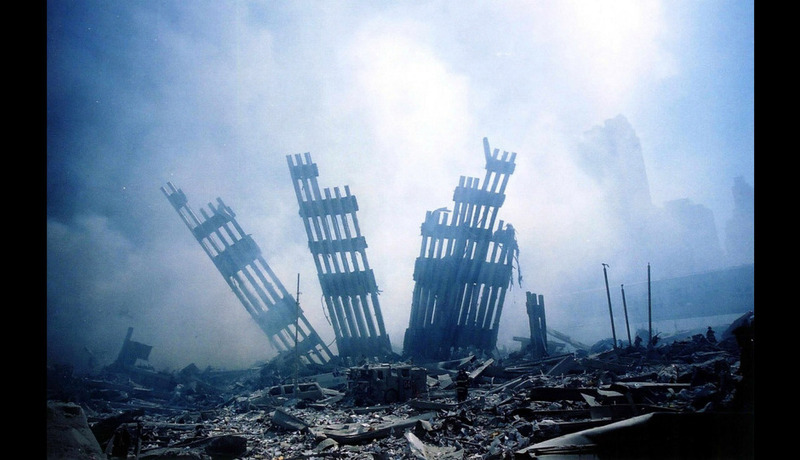 What Klein overlooked in this response in ‘shock and awe’, however, was that while the semiotic landscape had indeed been dramatically transformed (and corrupted) in the wake of the 9/11 attacks, it still remained a semiotic landscape – symbols were still the only lever and entry point into the wider real-time mediated public domain. Therefore, as unlikely as it may have seemed at the time, the question about the diversification of the terrain and the practices of media activism(s) was ultimately of far greater importance. What the 9/11 crash of symbols and the semiotic corruption debate contributed here was ‘merely’ an added layer of complexity. In a society permeated by media flows, social activism necessarily had to become media activism, and thus had to operate in a significantly more complex and contested environment. The diversification of the media and information landscape, however, also implied that a radical diversification of activist strategies was needed to address these increasingly hybridised conditions. Our question was therefore entirely justified, to ask how the term ‘tactical media’ could possibly bring together such a diversified, heterogeneous, and hybridised set of practices in a meaningful way? It had become clear that more sophisticated cartographies would be necessary to begin charting this intensely hybridised landscape. If the events in 2011 have made one thing clear it is that the ominous claim of Critical Art Ensemble that “the streets are dead capital”  has been declared null and void by an astounding resurgence of street protest, whatever their longer term political significance and fallout might be. These protests staged in the streets and squares, ranging from anti-austerity protests in Southern Europe to the various uprisings in Arab countries in North Africa and the Middle East, to the Occupy protests in the US and Northern Europe, have by no means been staged in physical spaces out of a rejection of the semiotic corruption of the media space. Much rather the streets and squares have acted as a platform for the digital and networked multiplication of protest across a plethora of distribution channels, cutting right across the spectrum of alternative and mainstream, broadcast and networked media outlets. What remained true to the origin of the term ‘tactical media’ was to build on Michel de Certeau’s insight that the ‘tactics of the weak’ operate on the terrain of strategic power through highly agile displacements and temporary interventions , creating a continuous nomadic movement, giving voice to the voiceless by means of ‘any media necessary’ (Critical Art Ensemble). However, the radical dispersal of wireless and mobile media technologies meant that mediated and embodied public spaces increasingly started to coincide, creating a new hybridised logic for social contestation. 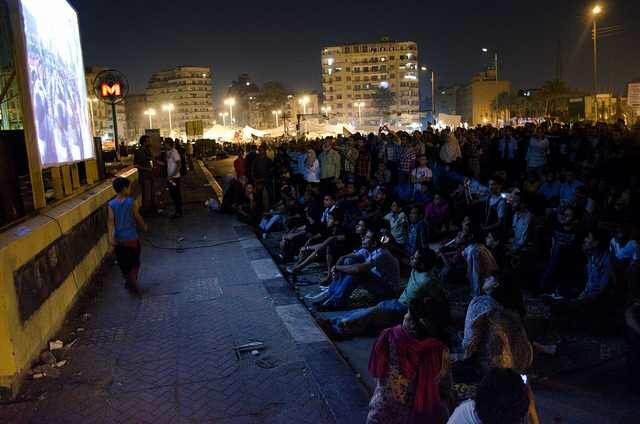 As witnessed in the remarkable series of public square occupations in 2011, through the digital conversion of public space the streets have become networks and the squares the medium for collective expression in a transnationally interconnected but still highly discontinuous media network. One of the remarkable characteristics of the various protests is not simply the adoption of similar tactics (most notably occupations of public city squares), but the conscious interlinking of events as they unfold. 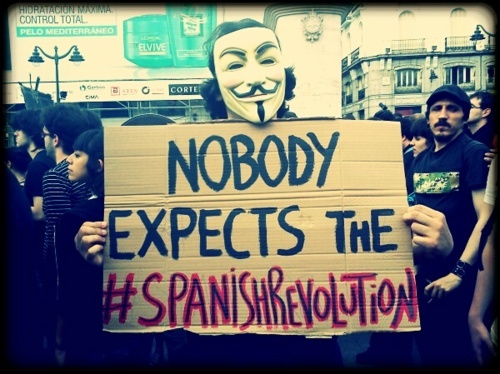 Italian activists of the Unicommons movement physically linked up with revolting students in Tunisia, Egyptian bloggers and occupiers of Tahrir Square linked up with the ‘take the square’ activists in Spain, who in turn expressed solidarity and even co-initiated transnational actions with #occupy activists in the United States and elsewhere. It is the first time that the new organisational logic of transnational horizontal networks that has been theorised for instance in the seminal work “Territory, Authority, Rights” by sociologist Saskia Sassen, has become so evidently visible in activists practices across a set of radically dispersed geographic assemblages. Horizontal networks by-pass traditional vertically integrated hierarchies of the local / national / international to create specific spatio-temporal transnational linkages around common interests, but also around affective ties. By and large these ties and linkages are still extra-institutional, largely informal, and because of their radically dispersed make up and their ‘affective’ constitution highly unstable. Political institutions have not even begun assembling an adequate response to these new emergent political constellations (other than traditional repressive instruments of strategic power, i.e. evictions, arrests, prohibitions). Given the structural inequalities that fuel the different strands of protest the longer term effectiveness of these measures remains highly uncertain. The institutional linkages at the moment seem mostly limited to anti-institutional contestation on the part of protestors and repressive gestures of strategic authority. The truly challenging proposition these new transnational linkages suggest, however, is their movement to bypass the nested hierarchies of vertically integrated power structures in a horizontal configuration of social organisation. They link up a bewildering array of local groups, sites, networks, geographies, and cultural contexts and sensitivities, taking seriously for the first time the networked space as a new ‘frontier zone’ (Sassen) where the new constellations of lateral transnational politics are going to be constructed. – connectivity: presence or absence of the signal carrier wave is becoming an increasingly important factor in staging and mediating protest. Exclusive reliance on state and corporate controlled infrastructures thus becomes increasingly perilous. – censorship: censorship these days comes in many guises. Besides the continued forms of overt repression (arrests, confiscations, closures) of media outlets, new forms are the excessive application of intellectual property rights regimes to weed out unwarranted voices from the media landscape, but also highly effective forms of dis-information and information overflow, something that has called the political efficacy of a project like WikiLeaks emphatically into question. – attention economies: attention is a sought after commodity in the informational society. It is also fleeting. (Media-) Activists need to become masters at seizing and displacing public attention. Agility and mobility are indispensable here. 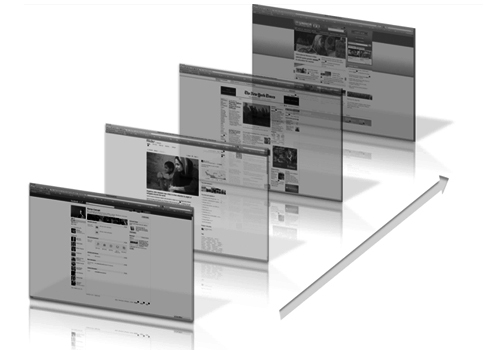 – public imagination management: Strategic operators try to manage public opinion. Activists cannot rely on this strategy. They do not have the means to keep and maintain public opinion in favour of their temporary goals. Instead activists should focus on ‘public imagination management’ – the continuous remembrance that another world is possible. The immersion in extended networks of affect that now permeate both embodied and mediated spaces introduces a new and inescapable corruption of subjectivity. Critical theory already taught us that we cannot trust subjectivity. However, the excessive self-mediation of protestors on the public square has shown that a deep desire for subjective articulation drives the manifestation in public. The dynamic is underscored further by upload statistics of video platforms such as youtube that continue to outpace the possibility for the global population to actually see and witness these materials. Rather than dismissing subjectivity it should be embraced. This requires a new attitude ‘beyond good and evil’, beyond critique and submission. A new perverse subjectivity is able to straddle the seemingly impossible divide between willing submission to various forms of corporate, state and social coercion, and vital social and political critique and contestation. It’s maxim here: Relish your own commodification, embrace your perverse subjectivity, in order to escape the perversion of subjectivity. 4 – Naomi Klein – Signs of the Times, in The Nation, October 5, 2001. 5 – Geert Lovink and Ned Rossiter, Dawn of the Organised Networks, in; Fibreculture Journal, Issue 5, 2005. (the complete issue is linked as pdf file to the article). 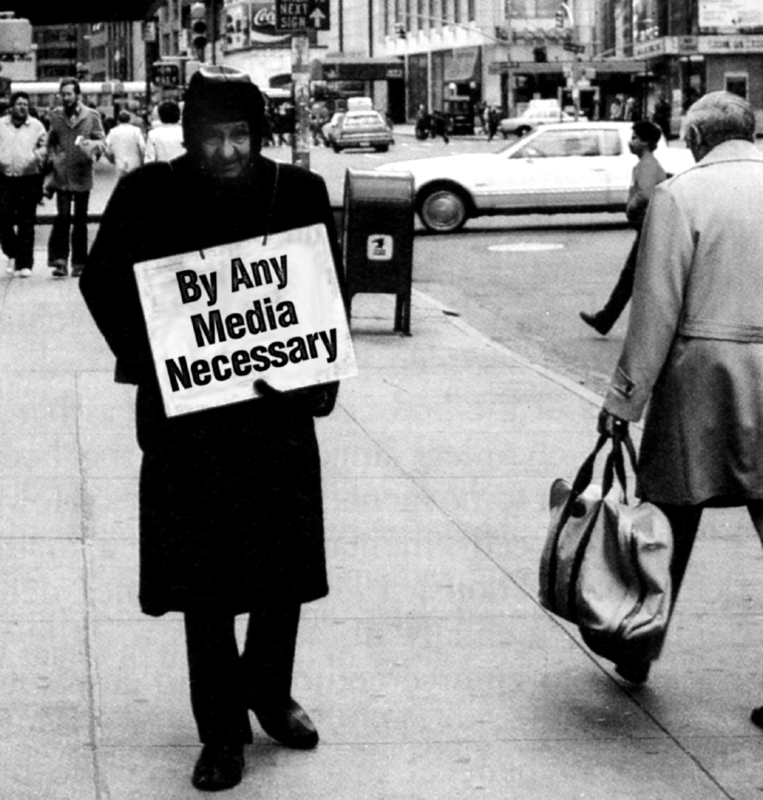 7 – Critical Art Ensemble, Digital Resistance, Autonomedia, New York, 2001. 8 – Michel de Certeau, The Practice of Everyday Life, University of California Press, 1984. Tagged occupy, semiotic corruption, street protest, take the square! Hence, tactics are always nomadic. The Spanish elections of 2011 certainly presented one such opportunity to appropriate the moment and a strategic space tactically. 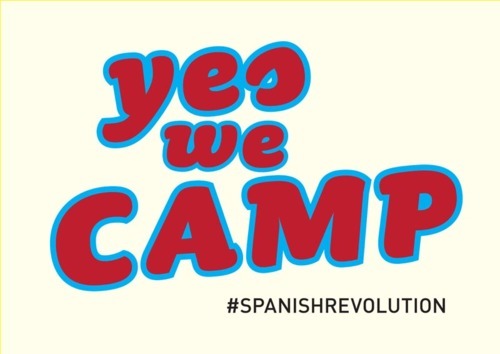 The spill-over of resentment over youth unemployment, political inaction and incompetence, and the continuing spectre of austerity sparked a spontaneous anti-movement; Los Indignados, the outraged. Los Indignados started massive street protests taking the city squares in cities all over Spain by camping on them, repurposing the strategic space for civic deliberation and protest. 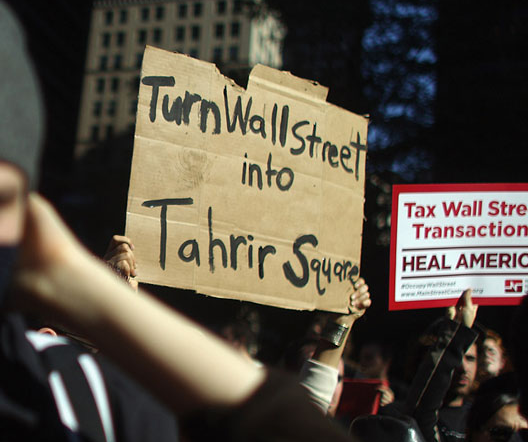 There is a deeper sense of media awareness in this (anti-) ‘movement of the squares’. Gionanopoulos writes: “..the stance of the movement toward Mass Media is also differentiated, with the refusal to engage with them, not even by way of issuing press releases. With the screening of what part of its procedures and organising is photographed or taped, and most importantly, with the creation of the movement’s own channels of communication — with its main website www.real-democracy.gr, being the only medium-voice of its decisions.” But obviously, the well-chosen site, the public city square derives much of its power from its public visibility. It is certainly impossible, and also highly undesirable for this public spectacle not to be picked up by mass and mainstream media. 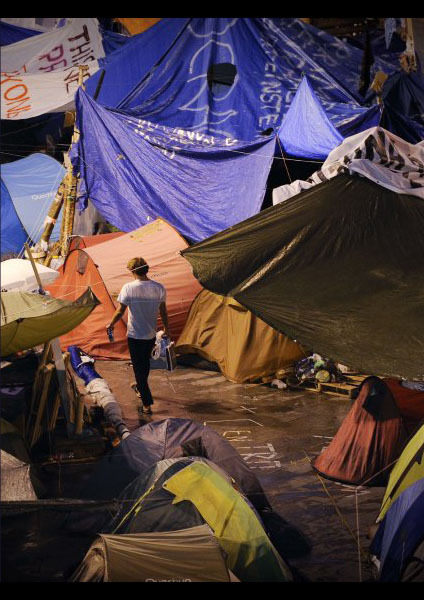 In fact the public camps on city squares are one of the most mediagenic forms of popular protest to have emerged in recent years, from Tahrir to Puerta del Sol, and this status has undeniably facilitated their international dispersal by the very system the activists claim to deny. Some activists can also get disheartened with the lagging nature of collective and non-hierarchical decision making procedures. 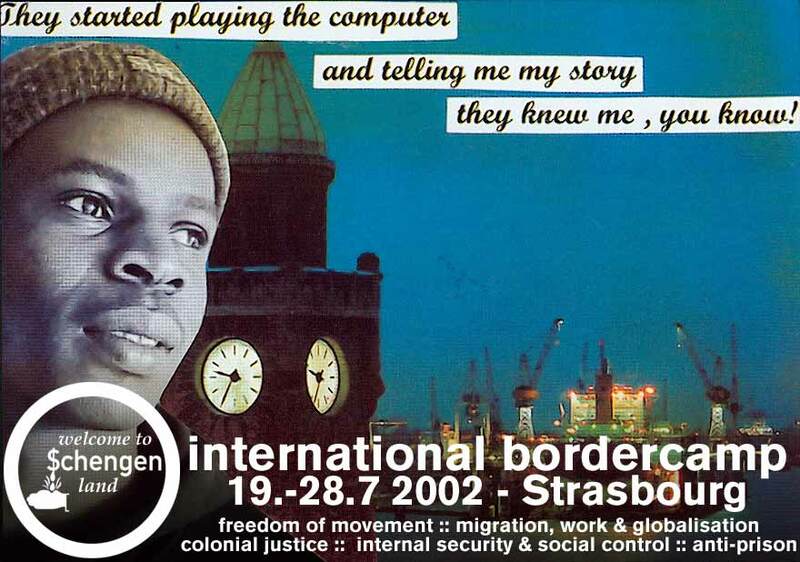 In a text of 2002, The Dark Side of Camping, Susanne Lang and Florian Schneider reflect on the daily experience of the International border camp in Strasbourg, July 19 – 28, 2002. They recall how by the time that the ‘radical-democratic decision-making process’ had come to the point of stating positions, the sun had already reached Zenith, without actual decisions having been made. The urgency of the matter on the table, the inhuman border, detention and expulsion regimes appeared to get lost in the haze of bottom-up democracy, for activists in a hurry to address them head on. Exasperation and frustration can easily set in. Thus, de-centred decision making always needs to navigate a precarious balance. Refusal of the media question was prevalent in those days, more so than in the current ‘movement of the squares’. Lang and Schneider lament the ignorance towards the media activist component in the border camp, derided internally as ‘silicon valley’. But they also point out how the complete refusal to co-operate with any media outlet, not even the indymedia type, lead to a fatal distortion of public perception of the actions: “Clearly, the manner in which the whole event is perceived from the outside will necessarily shift if the simple attempt to mediate ones own positions will be dismissed as opportunistic. : calls for freedom of movement might easily be interpreted as calls for freedom to muck about and act the fool. Who is protesting on the streets and why, which actions have been chosen and for what reason? The history, background, aims and ideas of the camp were concealed. Therefore the press relied on the statements of the police and the mayor“, Lang and Schneider write. And while scepticism about playing the mainstream media game might be justified, relying on at least self-organised media outlets and communication channels to the wider public seems an essential step forward for the activists. One of he central claims of the tactical media ‘movement’ has been to state that power has shifted to the symbolic domain of electronic mediation, and therefore power also has to be contested in the sphere of symbolic mediation, as for instance Steve Kurtz of Critical Art Ensemble has claimed . This shift also implies that to intervene in and tamper with the symbolic (in real-time mediation) means to intervene in and tamper with ‘real’ power. So, why then this seemingly regressive move back to the street and the square? One important lesson can already be drawn from the Syrian uprising, an escalating conflict bordering on civil war whose outcome is still completely uncertain while this text is written. 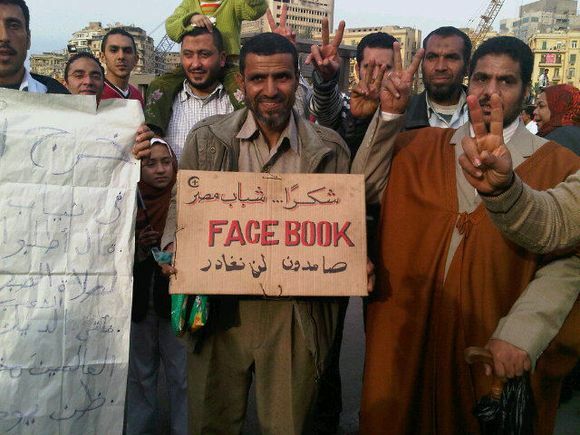 Dubbed the ‘Syrian Cyber Revolution’ the tactical appropriation of social media tools played a prominent role in organising the street protests, as they have done in many other places. The Syrian youngsters / activists derived a strong sense of empowerment from their newly found capacities to organise, coalesce and unify around common interest via social networking tools such as facebook. However, a painful lesson was to learn that the newly established networks could also be ‘read’ – necessarily so because of the relatively open and public character they required to be useful for intended purposes – by the Syrian authorities, whose prime interest was to seek out the central nodes in the network and eradicate them, working outwards towards the mass of networked participants. Visibility here means not just empowerment, but also vulnerability, becoming a discrete, identified, and localised target. A strange paradox emerged: In the seemingly private space of the social network activists had now become identified as an individual and more importantly as a discrete target for authoritarian repression. On the street however, the individual protester dissolved into a crowd to become a public. The rising death-toll from the Syrian protests indicates that this act of dissolving in the public is by no means without risk. It does, however, escape the targeted designation of the social networking space, which as an activist tool had de facto become ineffectual or even counter-productive for the local activists. Only in exile, out of reach of a repressive and violent authority, could the social networking space be used for effective public political communication, and possibly to mobilise the international diaspora. The tactical operations, both in the streets as well as in the media, necessarily need to remain nomadic in these circumstances, always on the look out for temporary spaces of opportunity. 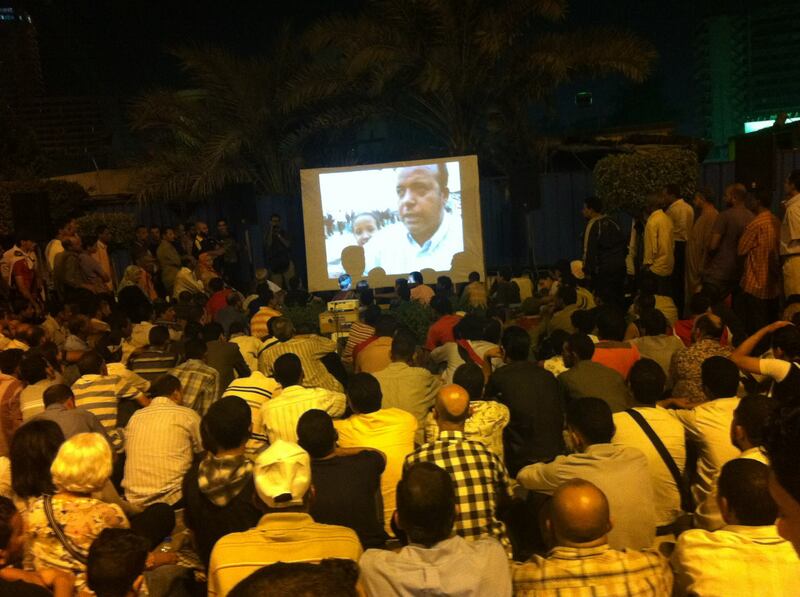 Embodied public spaces and media spaces do not exist independent of each other anymore. They constitute each other. As much as that the spaces of opportunity in the media are determined by the physical and political conditions they are built upon, so is the physical public space constructed by the media flows that permeate it; communicative practices, surveillance, mediated representation. As a result the logic of these spaces is hybridised: the media flows have to locate themselves to become manifest and meaningful, to escape their inherent virtualisation, while physical presences are permeated by electronically mediated flows that both construct and capture them. Activists need to understand the hybridised logic of hybrid space , its variability, its moments of opportunity and closure, to make use of them. The newest generation of civic activists, the (anti-) ‘movement of the squares’ seems to have ingrained and internalised this hybrid logic, almost unthinkingly. Social media tools, wireless devices, digital networks, self-publication channels seem nothing less than self-evident to them, and they are learning how such spaces of opportunity can suddenly close down, at which point it is time to move on – thus producing a continuous nomadic movement that as yet is unclear where it will land. by Eric Kluitenberg, June 20, 2011. 1 – Michel de Certeau, “The Practice of Everyday Life“, University of California Press, 1984, p. xiv. 6 – Susanne Lang and Florian Schneider, “The Dark Side of Camping“, 2002. Tagged street protest, tactical camping, take the square!